Your wish is granted! 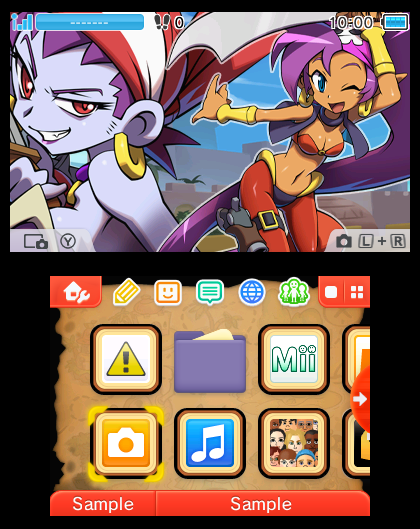 Shantae “Premium Themes” for Nintendo 3DS are inbound! By popular request we’ve got not one, but two 3DS Themes arriving April 2nd in the North America eShop. Both feature panoramic backgrounds, custom tunes by Jake (Virt) Kaufman, and character voices by Cristina Vee! Shantae Pirate Premium Theme for Nintendo 3DS: This swashbuckling backdrop features the entire cast of Shantae and the Pirate’s Curse! 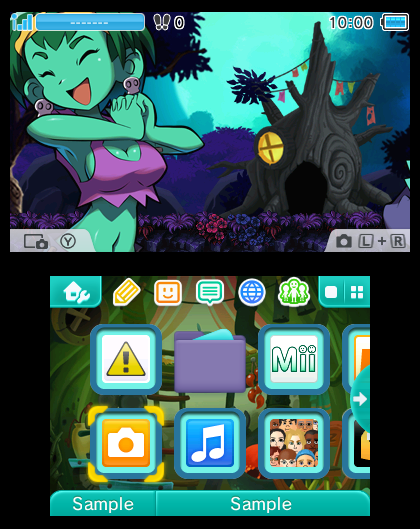 Rottytops Premium Theme for Nintendo 3DS: Let Rottytops and her zombie brothers Abner and Poe haunt your home screen! Additional territories will be announced shortly! Stay tuned! Oh man, I think I remember someone asking about this on twitter not that long ago! Glad to see it come about! Yay! How much will they be? Perfect! It would be awesome if we could get it free for buying Shantae and the Pirate’s Curse (I bought it twice), but I’m not getting my hopes up. Either way, I’ll definitely be getting these! Pleas please PLEASE release this in Other region (esp. Australia). I know my friends and I would all love to get these. https://www.facebook.com/pages/Shantae-friends-as-DLC-playable-characters-in-Smash-4-3DSWii-U-version/769600476420657?fref=nf and thx Nintendo and especially WayForward for having Shantae Theme of finally making it into my personal New 3DS XL Majora’s Mask Limited Edition on April 2nd! On one hand, I love these themes and will get them right away on Thursday. i have the Azure Striker Gunvolt theme, which is pretty sweet. 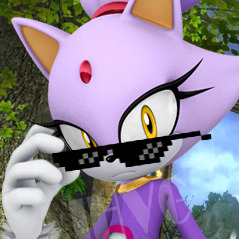 April 2 is the day that i get paid, so i will definitely going to buy the Shantae theme. Why? . . ¡WHY I DON’T HAVE 3DS! We are still in talks with Nintendo Europe. We will announce dates when we know more. We are still in talks with Nintendo Europe. We will announce dates as soon as we know more. Still no news for Europe ? Can’t wait ! WF, please ! Any news on the European front? A tweet mentioned March or April I think? Mr. Bozon sent out a tweet this morning that the themes will be in Europe March 18th!